Video marketing is certainly nothing new, and for those that got on board early with video marketing certainly they’ve certainly been able to reap many rewards both in attracting more clients, and increasing conversions, up-sells and profits. And, if you’ve been living under a rock and need even more reasons that part of your marketing strategy should include video marketing, then here’s something you should find interesting – success with video marketing in 2018 hit a new high – with more and more companies (including small to midsize) realizing the power of putting their brand in front of the camera. Despite all of this, however, a lot of companies still think they ‘don’t have what it takes’ to be successful with video. If you’ve ever thought: “it will take a lot of time,” or “we have other priorities, like closing new deals, before testing out video,” then stop right there! Below we’ve compiled a list of video marketing statistics which will prove why video needs to be an essential part of your marketing strategy for 2019 and beyond. Whether you’re doing video currently and want to take it up a notch, or new to including video in your strategy, these stats are meant to guide your efforts. Now, let’s get to it! Why it’s relevant: Users are using video more – so they’ll expect to see it on every site they visit, including yours! Video helps people stay on sites longer and stay more engaged. So use it! 3. Small businesses are catching up to their larger counter parts when it comes to video content. Why it’s relevant: You can create video even on a budget! Smaller companies are catching up to larger companies when it comes to video production because there’s less red tape – but this also proves two points. First, that small companies CAN create a lot of content – and second, large companies need to rethink their video strategy. They should have more resources to create quality video content. 4. Video production and marketing is affordable for small businesses. 6. Businesses are increasing their investments in video content to help serve the growing demand for video throughout the customer lifecycle. 7. According to Forbes, 90% of customers say video helps them make buying decisions and 64% of customers say that seeing a video makes them more likely to buy. 9. The number of businesses using video on landing pages jumped from 49% last year to 60%. 10. Video use in sales conversations has also experienced a marked increase from 25% to 37%. Why it’s relevant: Video isn’t just for the marketing department, it can be useful in creating trust amongst prospects. 11. Product videos, demos, and explainers are the most common videos produced; websites and social media are the most common distribution channels. Why it’s relevant: These types of videos are usually the first on the list for companies that have a product – which is important, but there are many types of videos that can help your brand gain more traction. 12. 86% of businesses use video on their website and 77% use video on social media. Why it’s relevant: Website and social media are most likely where visitors/prospects are expecting to see video content – so make sure you’re there. But also consider how you can differentiate yourself. In the year 2016, the use of video in content marketing became popular. By 2018 video dominates marketing strategies for businesses. Video marketing continues to evolve, and it’s essential to stay up to date with the latest video marketing trends both now and in the future. 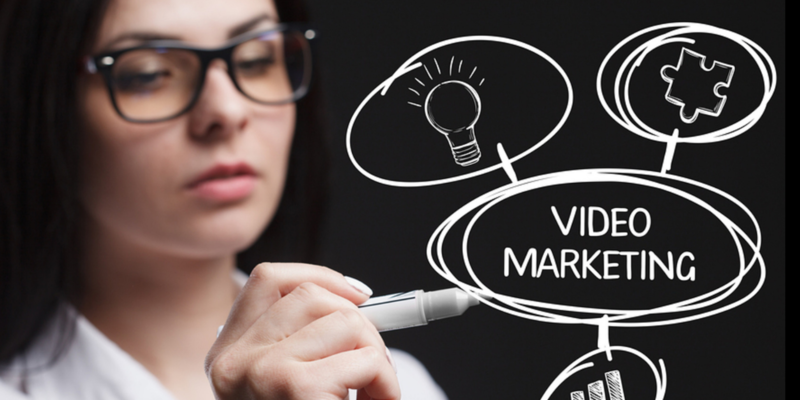 It’s time to start using video marketing so you can keep up. Not sure where to begin? Contact Original On Hold for a no obligation “Discovery Session” and discover the importance of video marketing for your business, and how to adopt the best marketing strategy. *Note: Unless otherwise credited, the majority of the stats in this article were collected and written about by our friends at Vidyard in their 2018 Video in Business Benchmark Report. If you’d like to get their full report and research, follow this link.